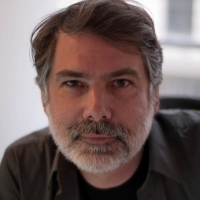 Frank Lantz is a New York based game designer and the Director of the NYU Game Center. He has created a number of award-winning games at his studio Area/Code including the popular puzzle game Drop7. Frank’s pioneering work on cross-media and real-world games has been widely influential and his writings on games, aesthetics and culture have appeared in a variety of publications. His most recent game is the philosophical clicker game Universal Paperclips.